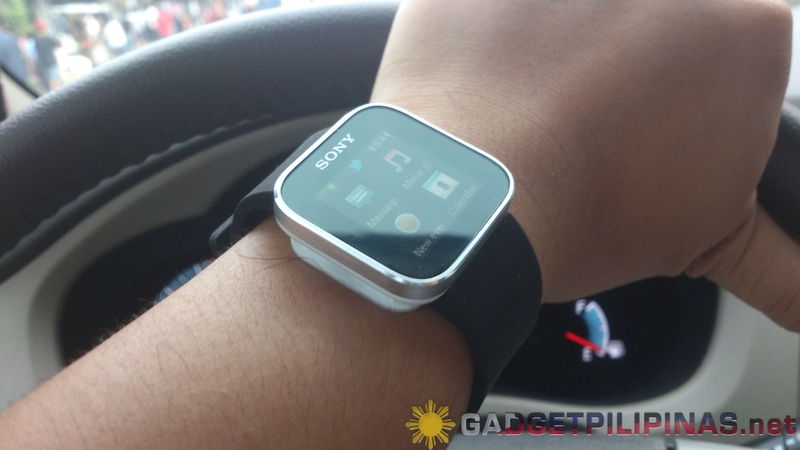 Move over, iPod Nano – the Sony SmartWatch is here! 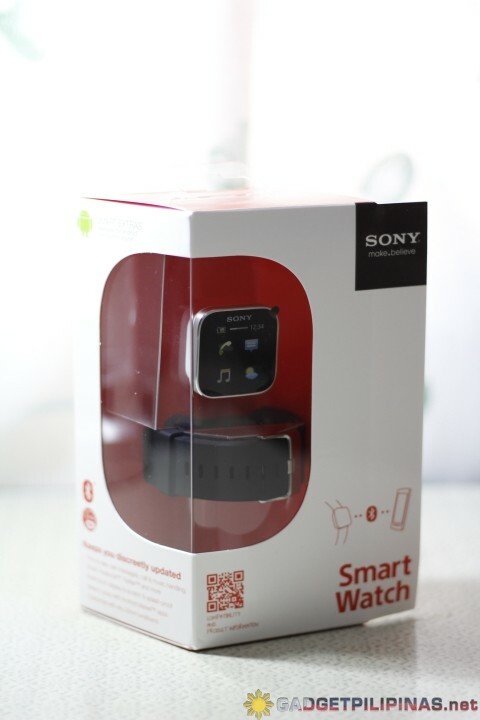 The Sony SmartWatch is Sony’s response to the overwhelming reception of consumers to Apple iPod Nano. Conceptually, the latter has more innate features compared to the Smartwatch like its internal flash drive and the “miniaturized” version of the iOS. But what sets the SmartWatch apart are its features (though heavily dependent to an Android phone) that make it a gadget full of clever tricks! The Sony SmartWatch is an innovative Android accessory that extends the power of Android smartphones via Bluetooth™ by receiving notification and information and sending preset messages from your smartphone. We’ve never experienced any device that can replicate what the SmartWatch can do – and for that aspect, “spoilery” as it sounds, this device is a total win! Apps: All events (displays in chronological order), Messaging (SMS/MMS), corporate E-mail (for Sony™ and Sony Ericsson Android phones), Gmail (for all other Android smartphones) Calendar Notifications, Facebook™, Twitter™, Music Player, Call handling (call, mute, reject, or answer and send pre-defined SMS),Pre-defined SMS, e.g. missed calls – I’m busy, messaging – call me, email – ok,Battery strength, Find phone, and Weather widget. Plus lots of apps on Android™ market. The SmartWatch is a wearable gadget, thus the experience is both corporeal and digital. It may be too big as a watch but it’s surprisingly light! Checking the time or notifications like Facebook™ and Twitter™ updates sent from my Android phone to my watch is a very pleasant experience. Glancing to the watch once in a while is a James-Bond-esque experience like no other. Too bad, voice and video calling is not possible on this device. Dialing and receiving call from the watch is possible on the watch if you’re using an Xperia phone. Pairing this device on my phone is like a walk in the park. Although this device works perfectly on Sony’s Xperia line of handsets and Sony Tablets S & P, this is also compatible with HTC Desire S, HTC Wildfire, HTC Wildfire S, Motorola Defy, Motorola Droid 2/Milestone 2, Motorola RAZR, Orange San Fransisco, Samsung Galaxy 5, Samsung Galaxy Ace, Samsung Galaxy Fit, Samsung Galaxy Gio, Samsung Galaxy Mini, Samsung Galaxy S II and Samsung Galaxy SL. The vibration and screen alert from its 1.3″ OLED screen are the SmartWatch’s best alternative to the missing audible alert. I heavily tested the battery of this watch and to my surprise, it did last for almost 4 days. There’s a catch though – that’s 4 days “unpaired” from my Xperia S. The watch’s battery only lasted 2 days when paired with my phone, which – I believe – is still impressive. 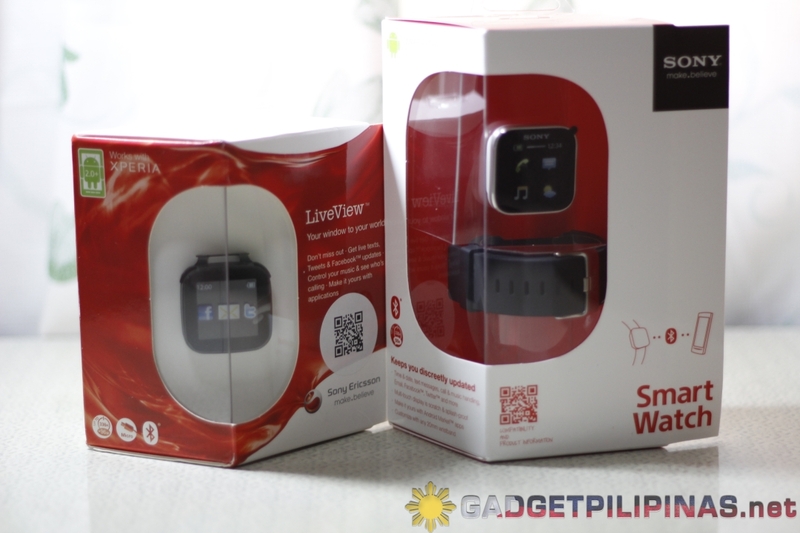 Amazingly, this device is both dust proof and splash proof and comes with a black rubber wristband included in the box. It’s also very genius of Sony to include a watch band adapter and spring bars (for use with any 20mm wide watch strap) inside the box. The supplied black rubber wristband looks very nice but I still bought myself a 500-peso worth bracelet at Swiss Gear. Displaying apps on the SmartWatch requires the SmartWatch app on any Android 2.1 devices. 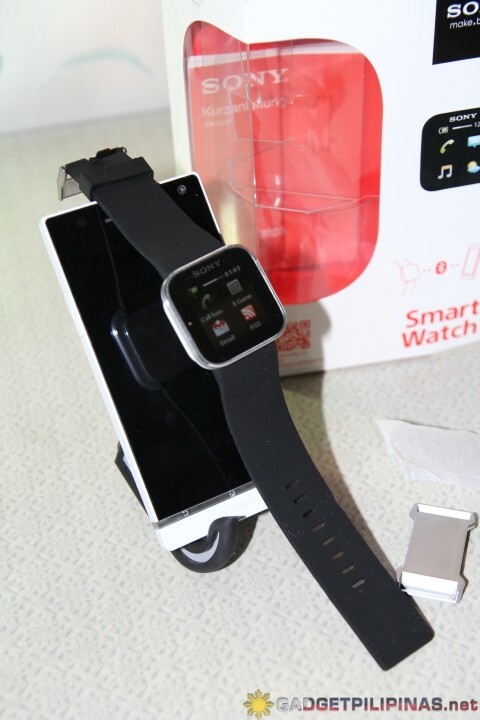 I already downloaded this app and a truckload of SmartWatch apps on the Play Store prior to buying this device. This made it very easy for me to pair the watch on my phone. To date, there are more than 300 free and paid apps compatible for the SmartWatch on PlayStore. The SmartWatch app on the phone works as the controller for the SmartWatch. It let me display the apps on my SmartWatch as widgets or simply “tap-able” icons. Notice that I use the word ‘display’ rather than ‘install’. This is because you do not install the apps in the watch, but you simply display it through seamless Bluetooth connection between the phone and the watch. Pretty clever, right? 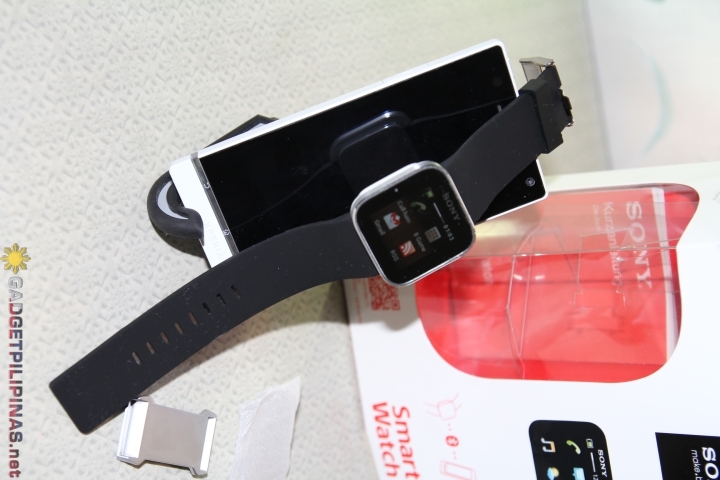 The SmartWatch is a follow-up to the LiveView. Undoubtedly, the SmartWatch is a worthy and awesome upgrade as it displays more information and boasts more features and apps. I kind of missing the LED notification light of the LiveView on the SmartWatch. It would’ve been nice to see it on the SmartWatch too. 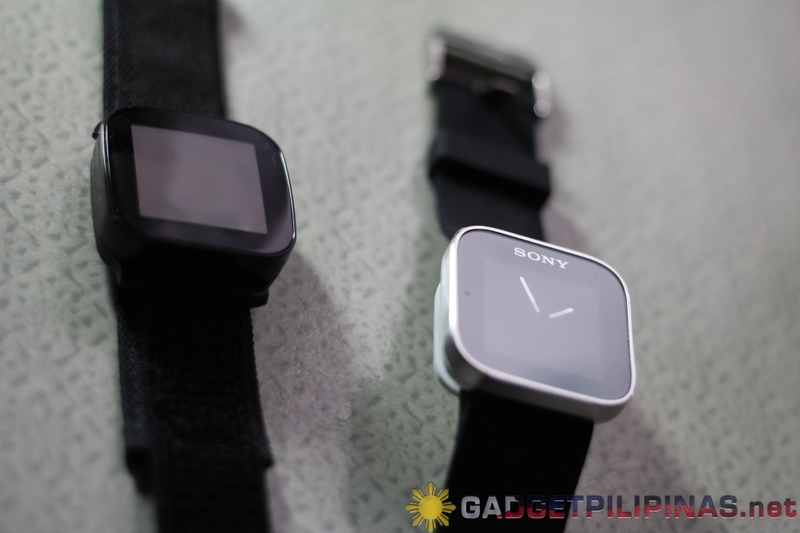 Sony LiveView (left) and Sony SmartWatch (right). If you’re short on budget, the Sony LiveView is still a good alternative. It costs PhP1,450 at Widget City. Wouldn’t it be easier to check your phone notifications on your watch instead of “flashing” your phone? 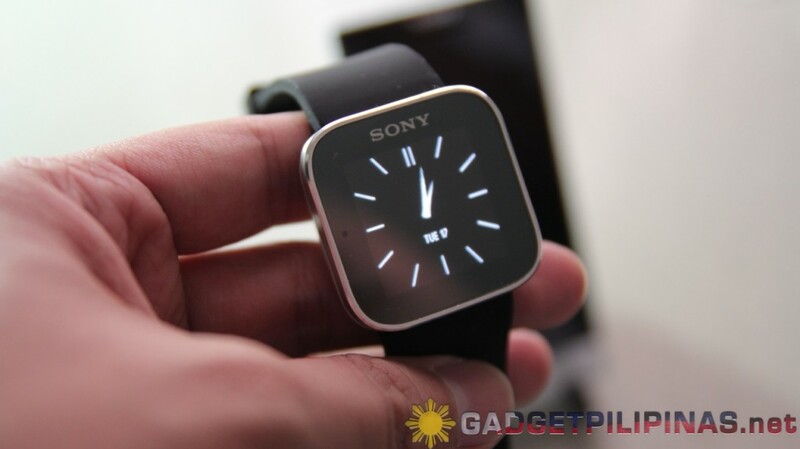 The Sony SmartWatch is the perfect wearable gadget for tech buffs and enthusiasts. 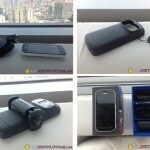 If you’ve got moolah to spare and an Android device, then go buy this gadget! All the more you should get this if you’re a sucker for live content and entertainment… on your watch! Priced at PhP5,700, this watch is at par with the price of an original DKNY watch yet offers more quirky features! 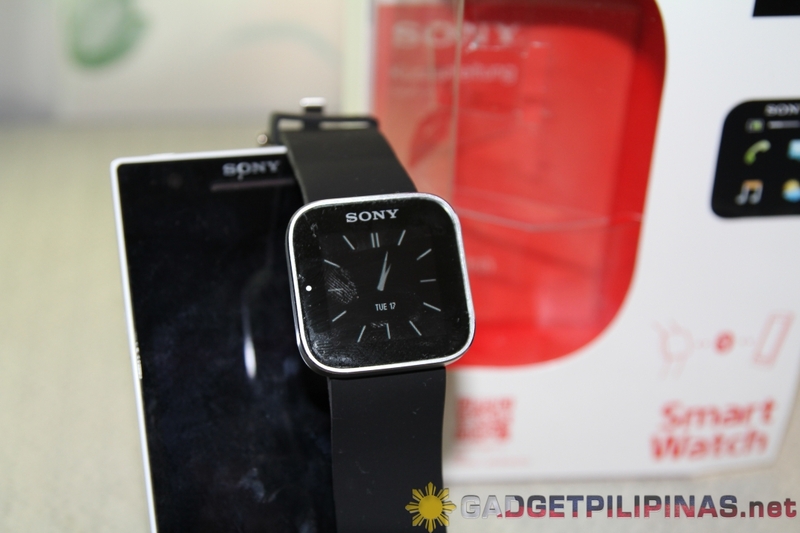 The Sony SmartWatch is now available at limited stocks in the Philippines thru Widget City for only PhP5,700. 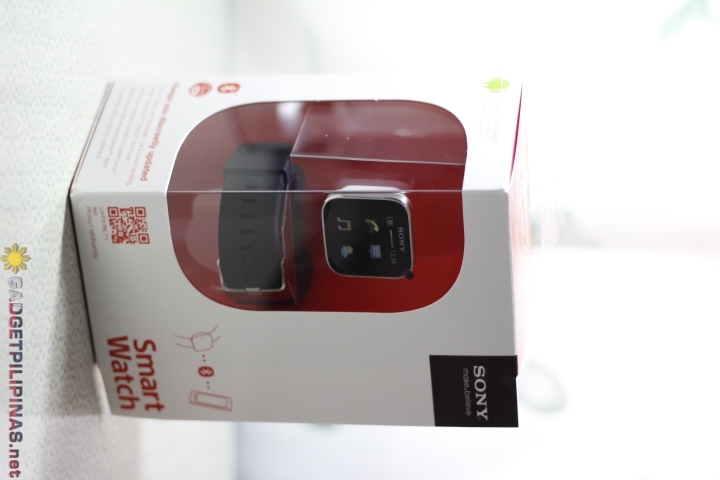 Widget City is the only authorized reseller of the Sony SmartWatch. If you wish to buy/order this watch, visit Widget City’s official Facebook page and inquire.